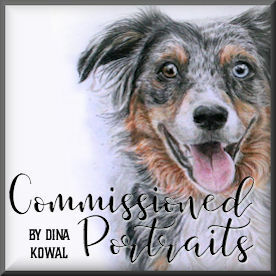 Dina Kowal Creative: Our Daily Bread part 2 - and free stamps! Our Daily Bread part 2 - and free stamps! Here's my 2nd - and favorite - card using the "Light of the World" set from Our Daily Bread designs - available now! The card is a premade/precut tri-fold card I found on clearance a few months ago. If you have Nestabilities (sigh) that would also do the trick, I'm sure. The sunset was so fun to work out. It's mostly done with Versamagic chalk inks. I stamped the image, and masked the lighthouse and shore, then applied a light yellow ink to the entire sky first. I then masked the sun circle and continued applying color direct-to-paper with the inkpads. The top portion is stippled with a brick red color. There is white acrylic paint added to the clouds and beams from the lighthouse, and I used a Spica glitter pen to further embellish the light and highlight the beams. After the sky was done, I removed the mask and colored in the lighthouse and land with prismacolor pencils, blending with OMS. The saying is only partially stamped. The full saying is on yesterdays card. I masked off what I didn't want stamped using post-it notes, and then cleaned well between stampings...somehow my stamp cleaner pad adds more mess to my stamps....! SOOOOOOOOOO.............how'd you like to win your own "Light of the World" set from Our Daily Bread? Kelley has generously allowed me to give one away on my blog! Leave a comment on this post and I'll draw one name on Monday, March 24th after lunch. Good luck! Lovely stamps, and I love how you colored them, Dini! Beautiful card... love the coloring... I also like that image in B&W... great base card... where did you find that? Yummy blog candy! TFS! I am totally in love with that lighthouse! The card is gorgeous! I would love a chance to win! Thanks! Ever so lovely treatment of the lighthouse - and the Scripture verse! I love this set! What wonderful blog candy :-) I would SO love to win :-) Thanks for the chance to play! Lighthouses are so neat, and they are gradually disappearing. Thanks for the chance for the stamp. This is a gorgeous card! What a beautiful stamp set! I would love to be the proud owner of this set! Thank you for sharing! The odds are slim to none, but I'll give it a whirl anyway. :-) I've bookmarked the Daily Bread site, and look forward to checking in on them from time to time. what a beautiful card! the sunset is beautiful. Your card is beautiful. I would love to have a chance to win this sweet candy. Thanks for a chance. I love your cards..and I already got hooked on to heart and soul..and looks like i'm going to get hooked on to this set too! Fabulous sunset..loved how you colored it in!! Beautiful! Your colouring is out of this world! Beautiful card. You did an wonderful job coloring it. After seeing this card on Kelley's post yesterday, I placed an order with her. :^) I also looked at your splitcoast gallery - beautiful, just beautiful!! You are just helping to spend my crafting allowance. Sending hugs from Naperville. TAke care and STAY POSITIVE!! What a beautiful card! Thanks for sharing the technique and for the chance to win such a nice stamp set! Wow!! Awesome sky! Love this stamp set. I can think of so many uses for it. Love the set and LOVE your card. Beautiful! I love this stamp set!! I also love the cards you've made so far with it. I love your coloring...it's always amazing! Thanks so much for sharing your gift...definitely a gift from the Lord. I would LOVE to win this stamp set. TFS! Your card is truly beautiful. You truly have a gift from God. Your colors are blended so well. The whole picture pops. WOW!WOW!WOW! that sky is beautiful! The entire card is inspiring! Either you have a lot of time on your hands( which I know isn't true) or your coloring is so inspired that it flows from your hands with ease. WOW! You do such a fantastic job on coloring! I wish I was as good. Thanks for the chance to win. Oh, my gosh! It's just breathtaking! Wow! The card is a stunner!! I would love to win this stamp set, but if I don't--it is at the top of my *to purchase* list when funds come available!! This stamp set is fabulous I will be watching this company closely! Oh my gosh!! I just learned about this incredible new line of stamps this morning and I absolutely LOVE them!! I also LOVE the gorgeous cards you've made with this set too, but then all of your creations are spectacular!! To be able to win this awesome stamp set would be a gift X's two since the 24th is my birthday Ü. Thank you so much for the chance to win, and have a beautiful day! I love this set and your card is fabulous! You're so talented. Thanks for sharing. can't wait to see more designs. I am a new subscriber to your site and LOVE your work! Whoa! Your card is gorgeous. You did an amazing job of coloring in that beautiful sky. I'd love to win it, it's a beautiful stamp. Your sunset is amazing! I love, love these stamps!! How generous of you to give them away! That sky is really gorgeous! What a gorgeous card! Love the Bible Verses - Thanks! absolutely beautiful card! I love those stamps...this could be the start of something beautiful! Thanks for the opportunity to with this beautiful set of stamps. WOW..This is amazing. Thanks for sharing your talent. These would be beautiful to use! THanks for the opportunity to win. Beautiful card! I check your blog every day to see your great card designs. I would love to win this set of stamps. 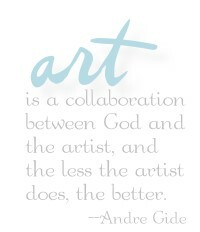 Dini God has truly blessed you with the gift of art, and us with the joy it fills us when we see your art! I am always checking to see what is new on your blog! Looking forward to seeing much more!! I'm thankful to see Christian theme stamps. Love having scriptures to add to envelopes and cards. It's a wonderful way to spread the GOOD NEWS! You did a great job. This looks like a neat set. Can't wait to see more from the stamp company. Refreshing to see new things that are Christian oriented. You always do such nice work. THanks! HI Dina, I love the card--I am a lighthouse lover too. You did such a fine job on this card. Please enter me in your drawing. Lovely stamp set. Wonderful card. I am so grateful to see such beautiful stamps on the market. Verses, such as these, fit all occasions and every age group. And Dina, you do a great job making the stamps irresitable! WOW This card is just amazing...love your colors. I would LOVE to win this set..
Gosh, I would LOVE to win this set! I've been eying it, but you've made me want it even more! GOJUS card! Wow...this card is stunning!! Your coloring is just amazing!! I'd love to win this set...thanks for the chance! WOW! Your card is AWESOME! You are very talented with color and medium. Thanks for sharing your coloring technique. The stamp set is fantastic and I would love to win it. Thank you for giving us an opportunity to do so. Absolutely beautiful card ... your sunset is stunning!!! Thanks for the chance to win this lovely set! Amazing card! I love all the fine details. WOW! Your card is absolutely pretty!!!! You coloring skills are awesome. God bless your talent. These stamps are stunning! I would love to own them, thanks for the chance to win! You've done a fantastic job using these stamps. Very inspiring. This is absolutely beautiful. I would love to win one of these sets! Love your work! This stamp is so wonderful and touches my soul! i'd love a chance to win that set. It would be the perfect picture to use on father's day cards and masculine birthday cards. Thanks for a chance tow win it. Absolutely beautiful. Please enter me into the chance to win this great stamp set. I actually just stumbled onto Daily Bread's site the other day. I absolutely loooove it. That card and the coloring are gorgeous! How exciting that would be to win the set! You did a wonderful job of coloring. I wish I were that good!! I love these stamps. I just found the Daily Bread site tonight!!! I love the set & your card is phenomenal. Thanks for the chance to win it!! This is so beautiful and I just love this stamp set! Thanks for sharing your art work with all of us! Dini, this is gorgeous! So peaceful and serene looking! Makes me wanna go to the Outer Banks! Your sunset and colouring of this card is sooo beautiful. I think you should frame it, it looks like a painting. Gorgeous card- great stamps! I'm loving all the projects I am seeing with this set! soo beautiful card and loves it...Lord is my light of world is Jesus...thanks for showing how beautiful, you did great job coloring...i would love to chance win the set...In His Love..